Twelve finalists have been chosen to compete in the 2019 Seafood Excellence Awards, taking place at the Seafood Expo North America event in Boston 17 to 19 March. 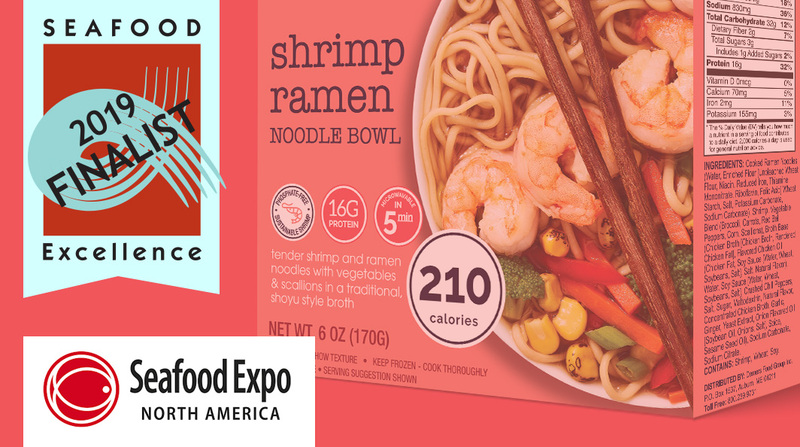 The finalists were selected from 59 entries in the exposition’s New Product Showcase and will compete for two awards, Best New Foodservice Product and Best New Retail Product, at the expo. The winners of the Seafood Excellence Awards will be announced at 3 p.m. in the Demonstration Theater on Sunday, 17 March. Fishpeople – Ready, Set, Salmon! Each of the finalists will be judged by a panel of seafood industry experts at Seafood Expo North America. The products will be judged on their uniqueness and appropriateness to the market, taste profile, packaging, market potential, convenience, nutritional value, and originality. The Seafood Excellence Awards are a North American extension of the Seafood Excellence Global Awards competition, held at Seafood Expo Global in Brussels, Belgium. Both awards programs and ceremonies are organized by Diversified Communications, the event organizer behind Seafood Expo North America/Seafood Processing North America, Seafood Expo Global/Seafood Processing Global and Seafood Expo Asia. Diversified is also the producer of SeafoodSource, the official media for Seafood Expo North America and Seafood Processing North America.